Hitler had a dream to rule the world, not only with the gun but also with his mind. He saw himself as a "philosopher-leader" and astonishingly gained theВ support of many intellectualsВ of his time. 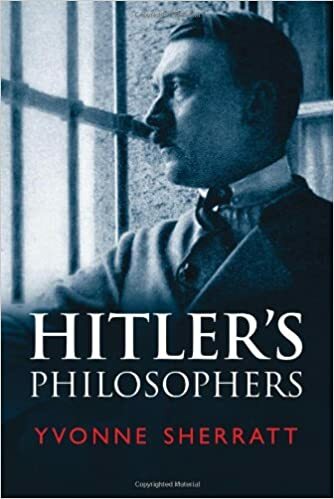 In this compelling book, Yvonne Sherratt explores Hitler's relationship with philosophers and uncovers cruelty, ambition, violence, and betrayal where least expectedвЂ”at the heart of Germany's ivory tower. Sherratt investigates international archives, discovering evidence backВ to the 1920s of Hitler's vulgarization of noble thinkers of the past, including Kant, Nietzsche, and Darwin. She reveals how philosophers of the 1930s eagerly collaborated to lend the Nazi regime a cloak of respectability: Martin Heidegger, Carl Schmitt, and a host of others. And while these eminent men sanctioned slaughter, Semitic thinkers like Walter Benjamin and opponents like Kurt Huber were hunted down or murdered. Many others, such as Theodor Adorno and Hannah Arendt, were forced to flee as refugees. The book portrays their fates, to be dispersed across the world as the historic edifice of Jewish-German culture was destroyed by Hitler. Sherratt not only confronts the past; she also tracks down chilling evidence of continuing Nazi sympathy in Western Universities today.